I'm here today to show you my project with Chibi lights. The first thought was to make a Halloween card with spooky unexpected light. 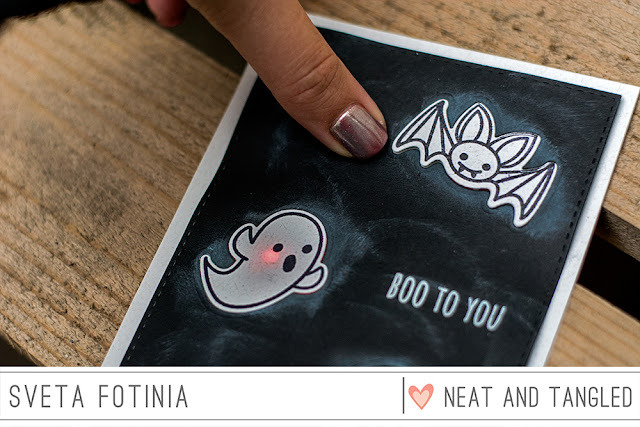 You give a card to someone and "Boo!" 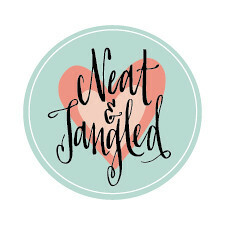 it starts to shine. 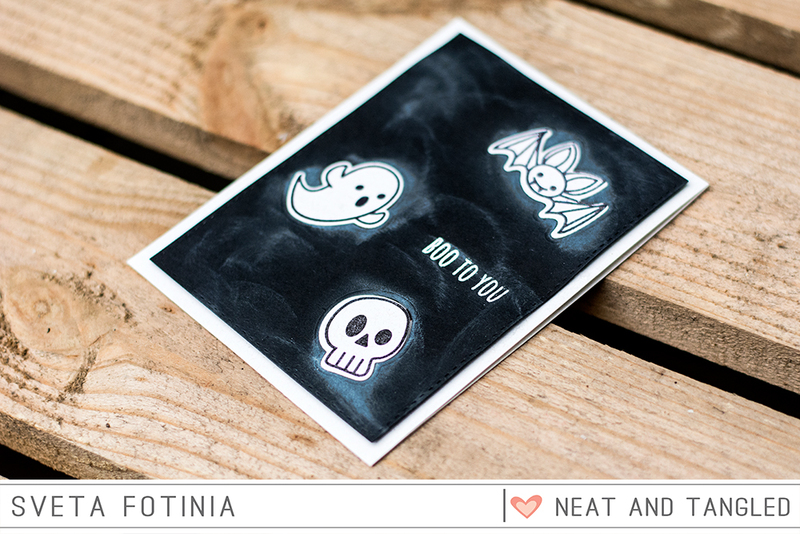 I used Creepy Cute stamp set and Creepy cute Nice and Neat dies and places under these spooky creatures some Chibi lights. 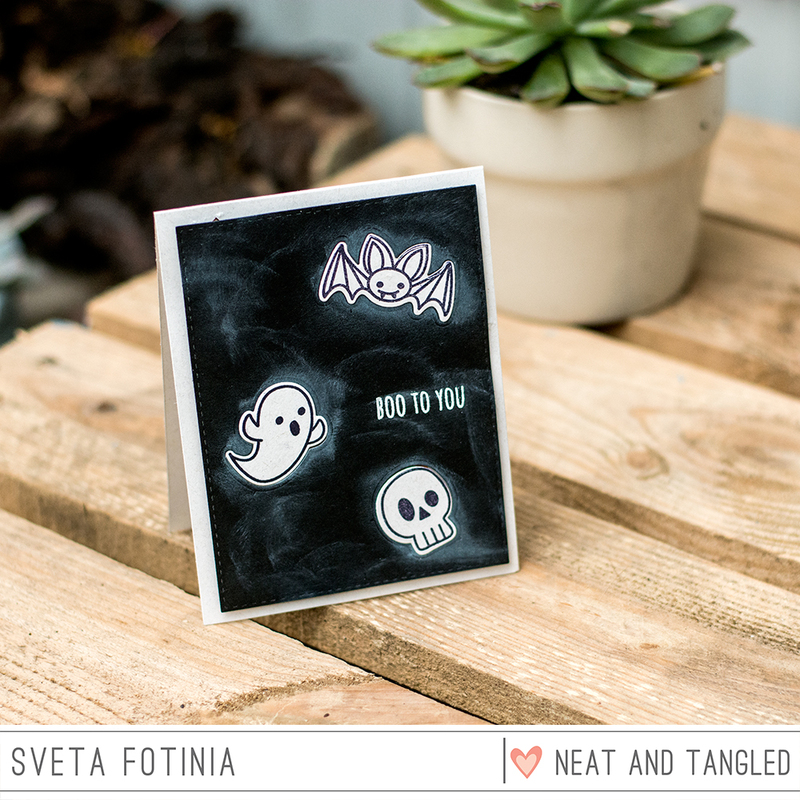 I made a chalkboard background and heat embossed "Boo to you" sentiment from the Creepy Cute Shadow stamp set. Please check this short video to see how it glows in the dark.